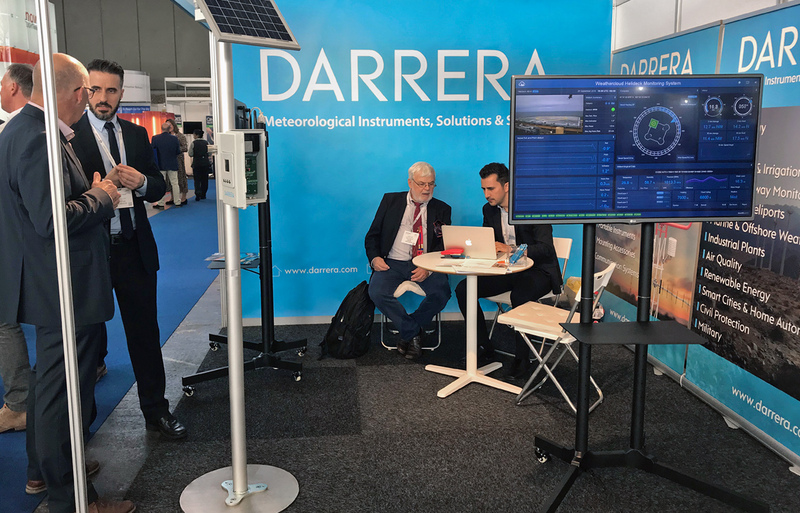 For the third consecutive year, Darrera had a booth of its own at the Meteorological Technology World Expo, the largest meteorological event that took place from 9 to 11 of October at the Amsterdam RAI Convention Centre. As in previous editions, the expo was a great occasion to showcase our meteorological instruments and Weathercloud solutions for data monitoring and management, as well as to meet with our international partners and to find new business opportunities. From Darrera we want to thank everyone who stopped by our booth during the event. See you next year in Geneva!